You can choose a specific service in accordance with your needs or combine it with other Managed Connectivity Services. Accomplished, industry leading infrastructure for communicating both internally and with your customers. Our managed security IPSec VPN service provides you with secure site-to-site connectivity through encrypted data streams over a private or public network. It is based on RFC specifications and IPSec protocol – a framework of open standards, and delivers IPSec encryption and tunneling protocols, data confidentiality, data integrity, and data authentication over unprotected networks such as the Internet. This service offers DES, 3DES and AES encryption and can be provided together with managed Firewall. Service that enables to connect to members of Internet Exchanges through our network and benefit from cost, latency, and bandwidth. You can reach all major Internet Exchanges via a single port, over 1000 BGP sessions and traffic are exchanged with almost 1000 Tier2 and Tier1 ISPs that provide over 190,000 prefixes. List of IXs includes but not limited to: AMS-IX, DE-CIX, Equinix Exchange, HKIX, MSK-IX, LINX, SIX, TorIX, DTEL-IX, Telx TIE, Any2. High-speed, highly resilient broadband full BGP Internet table for ISPs, ASPs, CPs, telecoms and data center operators and corporates. Level3 partnership helps us to achieve ultimate connectivity both via HSIP and directly via peering partners, establishing sessions that bypass other autonomous systems. Extensive direct interconnections and well-established bilateral peering with numerous providers worldwide allow for load-balancing, route optimisation and excellent global and regional coverage. Available on 100GE, 1GE and 10GE ports at major data centers around the world or at customer premises with extended local loop. 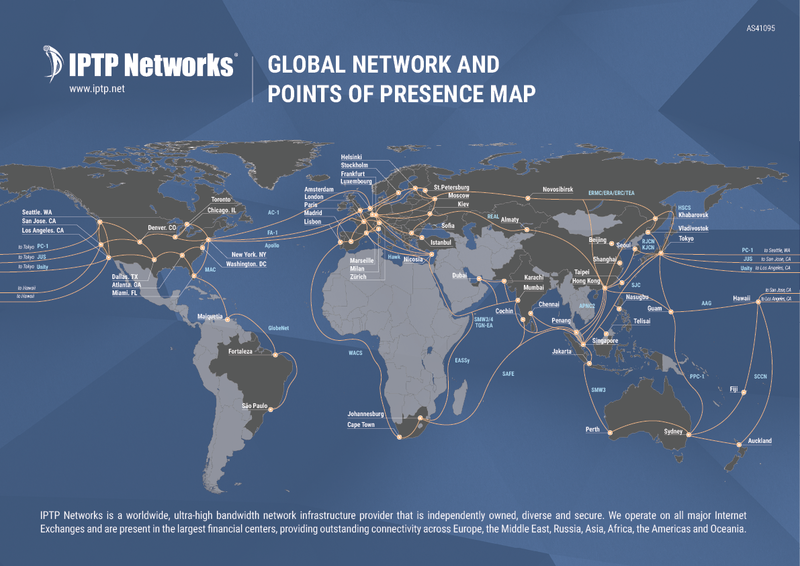 An international P2P leased line service that provides a dedicated, reliable and secure point to point connectivity solution between customers’ premises to locations worldwide. It supports all types of traffic (voice,data, video or any other latency and jitter sensitive multimedia applications), provides a wide range of bandwidths and offers scalability and flexibility to meet your present and future communications needs.